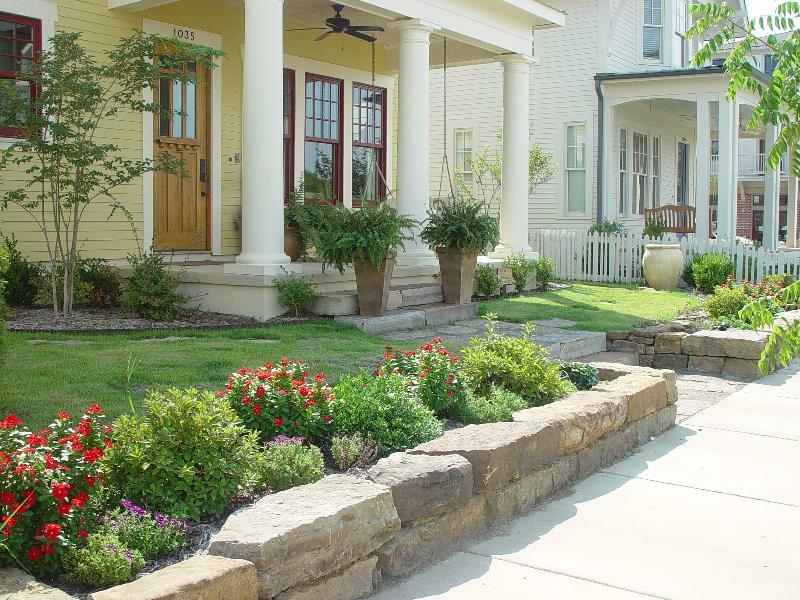 Voted Faulkner County's #1 landscape company eight years in a row. 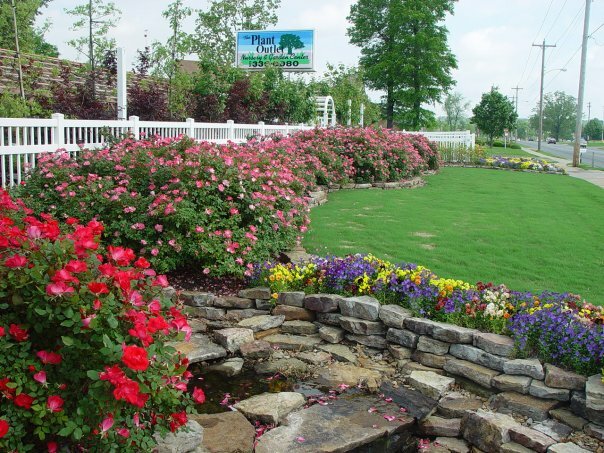 The Plant Outlet of Conway, Arkansas has a long history of providing the highest quality of plant nursery and landscaping services to it’s customers. We are professional, licensed and insured meaning you can have the peace of mind that your project will get done quickly and safely. your project, tap to call us now. The Plant Outlet will work with you to plan and design a custom landscape solutions that not only meets your landscaping needs but also looks beautiful. You will not be disappointed with our quality landscape design capabilities. If you are needs to install a new sprinkler system or maintenance on your current system, The Plant Outlet is here to help. We specialize in systems of all sizes for both residential and commercial sprinkler needs. Contact us today to see what we can do for you. A retaining wall serves a purposes, but should be seen as a beautiful feature at the same time. 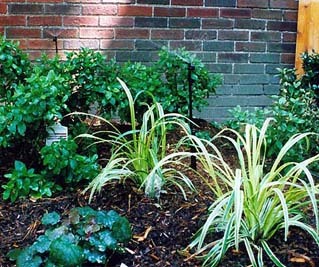 The Plant Outlet can build you a wall that meets your needs, but uses stone or wood material that looks great. Contact us and we can discuss what type of wall you need and how we can do something special. Do you have standing water or drainage issues in your yard? The Plant Outlet can help install a French Drain or another means of drainage to help with the water problems you are having. The Plant Outlet specializes in minimal impact landscaping, and will make sure that your yard drains better and looks better when we leave. Contact us and lets talks about how we can help you. Outdoor living spaces need a solid foundation, and The Plant Outlet can help you create that foundation using stone patios and walkways. 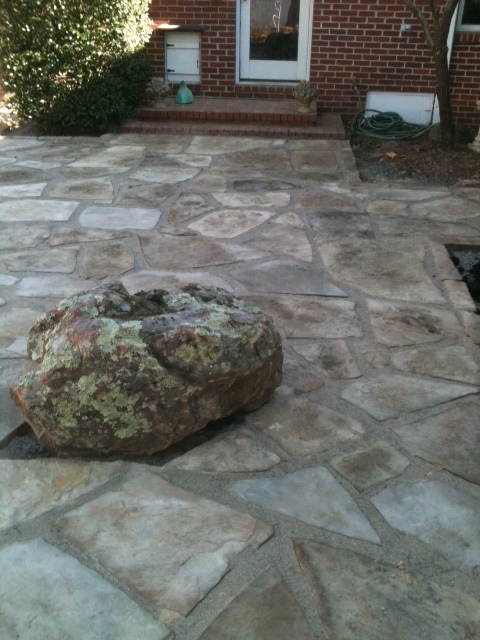 We will help you design the overall layout of your patio, pathways and the stone pattern. Contact us to get a quote on creating your dream outdoor living space and patio. It doesn’t take long for bushes and trees to get out of control and grow in areas that you don’t want them growing. The Plant Outlet can help you keep them under control and maintained. We offer a wide range of pruning and trimming services, so contact us today and let us know how we can help you. Whether you are needing a whole new yard, or need help maintaining the yard you currently have, The Plant Outlet can help. We can help you start from dirt and lay completely new yard of bermuda grass or any other species of grass. 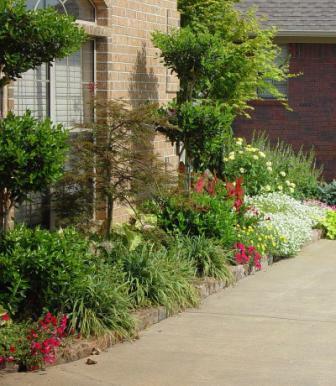 We will evaluate the shade and sunlight in your yard and help you determine what would best work. As the grass starts to grow, we can help you mow and maintain your new yard. As fall hits Arkansas, so does falling leaves. The Plant Outlet can help you gather and remove those leaves from your yard. We have the ability to remove large amounts of leaves quickly and efficiently. Contact us today about how we can help you remove leaves from your yard. 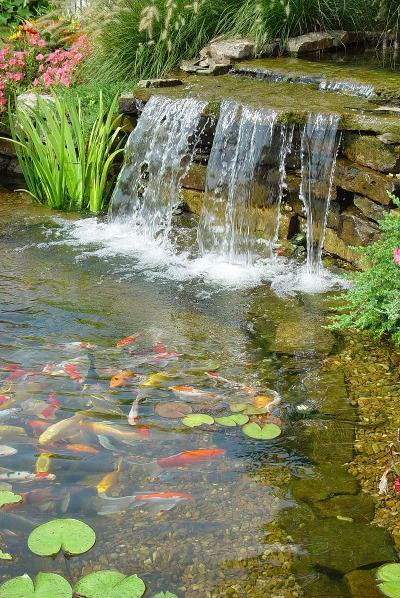 A water feature takes an outdoor living space to another level or relaxation. 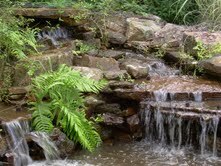 If you are looking for an addition to your existing outdoor space or a new space and new water feature, The Plant Outlet can help. Contact us today to discuss your available space and we can get a plan together that works for you. 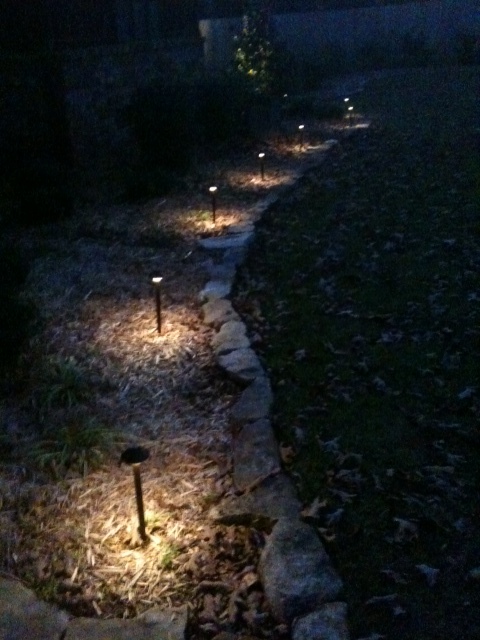 Outdoor lighting can add some nice drama to your landscaping. We work with licensed electricians to plan and design a lighting system that accentuates your landscaping and gives your home or business the evening curb appeal it deserves. Contact us today to learn more about how we can help you. Everything was just as we wanted and expected it to be. Our landscaping looks beautiful and may people have complemented the “new” appearance. 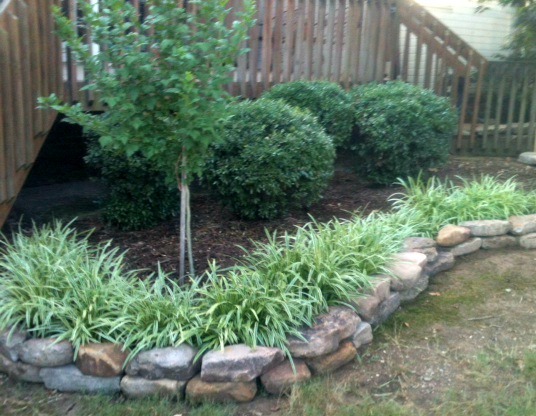 I am totally satisfied with my new flower beds and appreciate all the work done by John, M.B. and crew. The flower beds are gorgeous. For people like us that don’t know a lot about landscaping, the knowledge the salesperson had was most helpful- first impressions are important and we knew after the first meeting that the job would be done in a most satisfactory way and we would have no problem. You “The Plant Outlet” have a very knowledgeable and professional from start to finish on our landscape and drainage job! I rarely rate any situations/survey this high but our experience with the Plant Outlet was very positive. Located in Conway, AR the Plant Outlet has served Conway and surrounding areas for many year, and plan to for many years to come. With a full service nursery and numerous landscaping services no job is too small or too big for The Plant Outlet. We really hope you reach out to us today and give us the opportunity to earn your business. 2013 © Copyright nce18cex. All rights Reserved.